Mount Stuart - neo-Gothic mansion full of extravagant eccentricity! Quirky shops, ice cream parlours and traditional fish and chips! 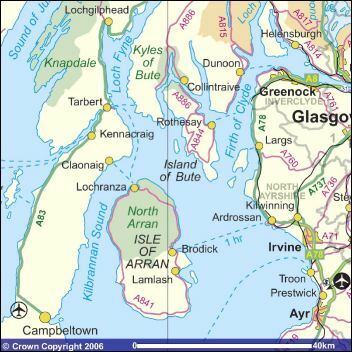 Bute is a pretty little island about 15 miles long and less than 5 miles wide just off the west coast of southern Scotland. With a population of around 6,500, it is very easy to reach from Glasgow and was a popular holiday destination during Victorian times when the Clyde was booming. It still has much to offer with hills in the north, lots of sandy beaches, ruined chapels and forts, yachting, fishing, golf, etc. Bute's many gardens benefit from the Gulf Stream which gives the island a mild climate enabling palm trees and other exotic plants to grow here. One of the main visitor attractions is the spectacular Mount Stuart House which is definitely worth a trip. Bute sits on the Highland Boundary Fault, marked by Loch Fad, which almost cuts right across the island, so you will see a distinct difference in the landscape north and south of this point. For the best view of the island - go to Canada Hill. The main way to access the island is to get the ferry from Wemyss Bay which is a short car or train ride north from Glasgow. The ferry usually runs over a dozen times throughout the day during the summer season and there is no need to book a ticket in advance. This crossing from the mainland only takes 30 minutes. Day Saver tickets are available in the summer covering one car and up to 4 people. You can take a shorter crossing - only 5 minutes - from Colintraive on the Cowal Peninsula to Rhubodach near the northern tip of Bute, about 8 miles from Rothesay. 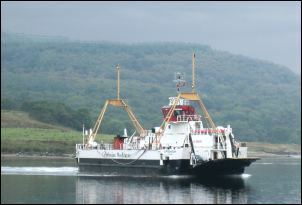 The ferry just goes backwards and forwards all day long crossing the Kyles of Bute. Bikes are carried free on this ferry. You can buy cheap Day Saver tickets for a car and up to 4 people valid during the summer. The official Caledonian Macbrayne website lists all the current ferry timetables in detail. Tel: 08705 650000. City Sightseeing Bute offers day trips around the island on an open-top bus from May to late September. Tel: 01631 566 809. You can get the ferry over from the mainland for the day if you wish. West Coast Motors operates the local Bute bus services. Loch Fad Fisheries - tel: 01700 504871. Golf: Bute Golf Club - Rothesay Golf Club - Port Bannatyne Golf Club. Once a very popular Victorian seaside resort thanks to its mild climate and proximity to Glasgow, the town of Rothesay is the capital of Bute. Still a bustling town today. King Robert III granted Rothesay the status of royal burgh and Prince Charles, as eldest son of the current monarch, is the current Duke of Rothesay. Rothesay photo Copyright © 1994 Corel, The Internet Guide to Scotland and its licensors. All rights reserved. Not to be downloaded or reproduced. Bute Museum in Stuart Street has much information on local history, geology and wildlife. It opens daily from April to September. In October, November, February, March it is only open on certain afternoons (Tuesday, Wednesday, Thursday and Saturday). Closed in December and January. Tel: 01700 505067. Admission charge. Guided walks around the town take place on Tuesdays and Thursdays starting from here. One of the most unusual visitor attractions in Rothesay is the award-winning restored Victorian Toilets on the pier. Conducted tours are given each day. 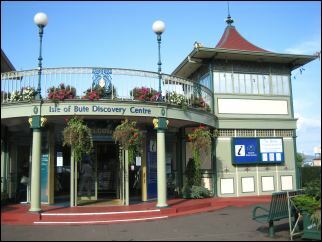 Along the promenade, the former Winter Garden in Victoria Street is now home to the tourist information centre - the Isle of Bute Discovery Centre - with exhibitions and displays about the island. Tel: 01700 502151. There is also a genealogy centre, a bistro and a cinema. The Pavilion Theatre is undergoing a major refurbishment and is due to re-open by the end of 2019. Rothesay also has a Leisure Pool in High Street, complete with steam room and sauna. At the Moat Centre you can play badminton, snooker and table tennis or visit the local library. Tennis and squash courts are available with a children's play area and paddling pool at The Meadows in High Street. The town has lots of accommodation on offer and many shops including a supermarket and a health food store in Victoria Street. Don't forget to visit the famous Zaravoni's ice cream shop overlooking the promenade. You get a good view from Canada Hill and you can play at the Rothesay Golf Club. Barone Fort once sat on top of Barone Hill. Another historical site is St. Mary's Chapel which is located in High Street on the outskirts of the town along the A845 road. Dating from the 14th century, it features the tomb of Stephanie Hortense Bonaparte, a niece of Napoleon. There is also a tomb of a knight in armour. A well can be seen here too. 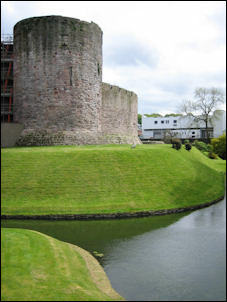 Set in a moat on top of a flatish mound, Rothesay Castle is a good example of a circular curtain wall with 4 round towers. The Pigeon Tower is still in reasonable condition, but much of the eastern side of the donjon is the result of 19th century rebuilding. Saint Michael's chapel dates from the 16th century and is located in the courtyard. Opening hours are as follows: April to October daily 9.30am to 5.30pm. Rest of the year open 10am to 4pm (closed Thursday & Friday). Look out for the swans. Telephone 01700 502691. Admission charge. Historic Environment Scotland. The original castle was probably built around 1098 by the Viking Magnus Barelegs who came from Norway to conquer the Scottish islands. Later it fell into Scottish hands, but was attacked by Norsemen in 1230 and again in 1263 when it was captured by King Haakon who was subsequently defeated at the Battle of Largs. It was a favourite residence of Robert II, whose son made Rothesay a royal burgh in 1401. James V added the part known as The Palace. When the castle was captured for the English by the Earl of Lennox in 1544, the Bute family who had become hereditary keepers were thrown out. 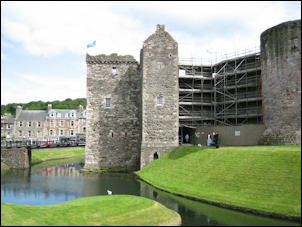 Rothesay was still important in the 17th century when it was held for King Charles and then Cromwell. On leaving in 1659, the Roundheads partially destroyed the castle. A few years later as part of the 1685 rebellion it was set on fire by the Argyll Highlanders. The first restoration work started in 1816-17 by the second Marquis of Bute. More repairs and renovations were carried out by the third Marquis who also rebuilt Mount Stuart House (see below). About 5 miles west of Rothesay is this sandy bay. You can go on an open bus tour from Rothesay, take your own car or cycle over there. Nearby is the Colmac stone circle. Located just to the east of Rothesay at Ardencraig. You can visit the gardens and also see aviaries of foreign birds and exotic fish ponds. There is a tea room. The gardens were bought by the Royal Burgh of Rothesay in 1968 and admission is totally free. Access to the gardens is from May until September, Monday to Friday 9am - 4.30pm, Saturdays and Sundays 1pm - 4.30pm. Ardencraigh House is not open to the public. Located about 5 miles south of Rothesay, easily accessible by car or bike. There is also a shuttle bus service from Rothesay. 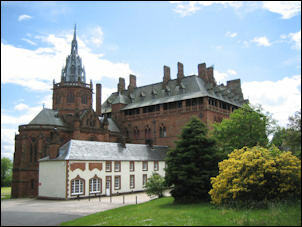 First opened to visitors in 1995, Mount Stuart won the Scottish Tourism Oscar Award. It is a Victorian Gothic house with wonderful architecture both outside and inside. The interiors are absolutely sumptuous. Most definitely worth visiting! Throughout the house you will find astrological and astronomical themes and designs. The Marble Hall is magnificent - particularly when viewed on a sunny day as the light coming through the zodiac windows can form mini rainbows. The ceiling in the Horoscope Room depicts the astrological chart of the 3rd Marquess. You will also see the dining room, library, drawing room, conservatory (used as an operating theatre during the war), various bedrooms and bathrooms (with pioneering showers), plus the amazing white marble chapel (where Stella McCartney got married in 2003). The gardens are also very beautiful and there is a countryside ranger service which offers guided walks. 300 acres of woodland. 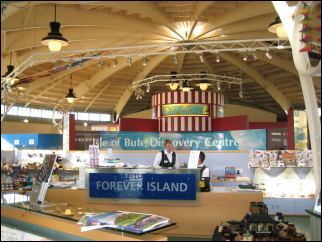 The contemporary visitor centre comprises the ticket office, restaurant, gift shop, gallery and toilets. There is also a tea room (and toilets) adjacent to the house. Picnic areas can be accessed via the car park. It's a good walk from the visitor centre to the house itself, so courtesy transport is provided. The house is open daily from 1 May to 30 September. Opening times are seasonal - please phone 01700 503 877 for details. The house is viewed by guided tour except in July and August when a free flow system is in operation where there is a stationery guide in each room and guests are welcome to view the house at their leisure. Pre-booked guided tours are also available. Coach parties are welcome, but it is essential to book in advance. No dogs allowed. Telephone 01700 503 877 / Fax: 01700 505 313. Full details on official web site. Mount Stuart hosts the annual eatBute festival usually in September. Bute Food & Craft Markets are held once a month in June, July, August and December. There are special events at Mount Stuart over the winter including Halloween celebrations, Christmas fair & concert. If you would like to come here on a day-trip from the mainland, then you can buy an all-inclusive day ticket from any station in the Strathclyde Passenger Transport area and this will allow you to travel on the train, ferry and bus to get to Mount Stuart. 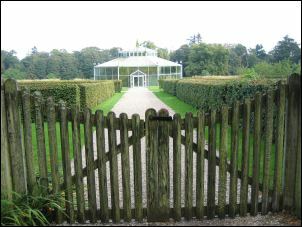 Ticket price also includes entry to the house and gardens. They say you can be here in 80 minutes from Glasgow! Easily accessible by car and bus from Rothesay is this sandy bay which overlooks the island of Great Cumbrae. Pony trekking is available. Nearby are the ruins of Kelspoke Castle. Not far from Kilchattan Bay are the remains of this chapel dating from the 12th century. Nearby are the foundations of a monastery founded by Saint Blane in the 6th century. This is one of the most peaceful spots on the island. From here you can look over the sea to the hills of Arran. Interestingly, the church had 2 cemeteries - one for men and one for women. On the way to Kilchattan Bay, look for the Blackmark Stone Circle near Kingarth. On the west coast not far from St. Blane's Chapel are the ruins of Dunagoil Fort at Dunagoil Bay. Scalpsie Bay further north on the west coast is supposed to be very nice and you can see seals there too. Further north and still on the west coast at St. Ninian's Bay are the remains of a chapel. There are other beaches at Ascog, Kerrycroy, Mount Stuart and Stravanan. 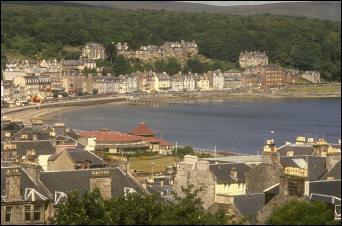 There are around 50 hotels, guest houses, B&Bs and self-catering properties on the island of Bute. Caravan and chalet accommodation is also available. Have a look at the accommodation listings on the Visit Bute web site. Ardencraig House Apartments: 4 star apartments in a converted Georgian mansion overlooking the Firth of Clyde. Choice of 4 apartments with 1 or 2 bedrooms. Located 1 minute from Ardencraig Gardens. 5 minutes drive from Mount Stuart House. Kames Castle at Port Bannatyne has estate cottages to rent. Mount Stuart has 6 self catering properties situated on and around the Mount Stuart Estate. With luxurious accommodation in a range of 2, 3 and 4 bedroom properties, there is accommodation for up to 36 guests. Visit Scotland 4 stars. The Esplanade Hotel beside the harbour in Rothesay has 17 ensuite bedrooms. Regular live entertainment. Tel: 01700 502001. Munro's B&B is about 1.5 miles from the ferry terminal in Rothesay. Choice of 6 bedrooms & suites. Highly recommended. Contact Andy & Joan Walters. Tel: 01700 502346. The Port Royal Hotel overlooking the harbour at Port Bannatyne has 5 guest rooms. Dag and Ola Crawford have recreated an authentic Tsarist Russian Tavern serving all fresh Russian Cuisine, Real Ales from barrels mounted on the bar, Russian beers in glass, etc. Excellent meals. Count Nikolai Tolstoy who stayed here before Christmas 2002 said: 'this is the best Beef Stroganoff I have tasted...EVER!' Voted Pub of The Year 2003 by the Campaign for Real Ale SW Scotland branch. Les Routiers Overall Winner 2003 National UK Real Ale Pub of the Year. Russian concerts once a month. Tel: 01700 505073. The Victoria Hotel in Rothesay has 20 ensuite bedrooms. 1 minute's walk from the ferry terminal. Facilities for weddings and corporate events. Tel: 01700 500016. Written by Norman S. Newton, this lovely colour guide has over 100 pages of photos. Covers the local heritage and culture of Bute, wildlife, landscape, history of settlement, place names, places to visit, etc. Even if you don't get chance to buy it before you go, you will certainly want a copy for a souvenir when you have visited! See the Eating Out page on the Visit Bute web site. If you are self-catering on the island and need a health food store, then check out The Grapevine at 9 Victoria Street, Rothesay. The West End Cafe is well known for its traditional fish and chips. The Squat Lobster in Port Bannatyne is small, high quality fish restaurant run by a fisherman. In Ettrick Bay there's a tearoom (open Monday - Friday). Also experience The Port Royal Hotel Russian Tavern overlooking the harbour. Mount Stuart has a visitor centre with excellent restaurant (Bute Kitchen) with panoramic views. Telephone 01700 503 877. 5 miles south of Rothesay. These are just some of the places available on the island. Some of the hotels are open to non-residents for meals too.